The focus of our seafood department is fresh, never frozen, fish. On most days, we feature 20 varieties of fresh fillets, and in season, we commonly receive multiple deliveries a day. While you’ll find favorites like salmon and tilapia, you’ll also find hard-to-find fish like sole, skate, bluefish and opah. All of these fish arrive to us whole and are filleted in house by our own fishmongers. In addition to hand filleting, we also prepare our own homemade recipes, like panko breaded tilapia and teriyaki sesame salmon fillets. Plus, we do our own smoking for added flavor. Oh, and we make our own tartar sauce and cocktail sauce. Yes, we’re passionate about our seafood. We take care to process and make our recipes by hand, ensuring you receive the freshest product with the best flavor. 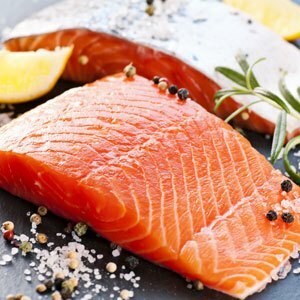 Interested to know how long to keep seafood in the refrigerator or the freezer? Sendik’s has you covered! Click here for a handy guide. 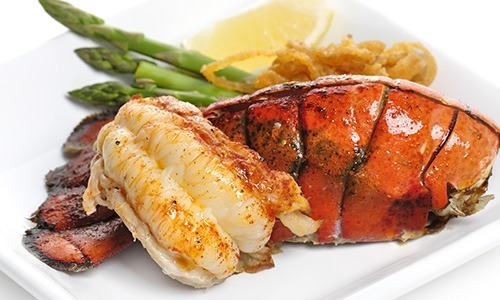 A favorite of our guests is our annual Lobsterfest in May. Families and neighbors have made a tradition of elaborate cookouts around this event. One year, a gentleman purchased 45 and fed his whole block. We want to be that guy’s neighbor! We’re very lucky to be nestled amongst the greatest fresh water supply in the world in the Great Lakes. Whitefish, perch and lake trout are some of the fish available from the Northern Great Lakes.